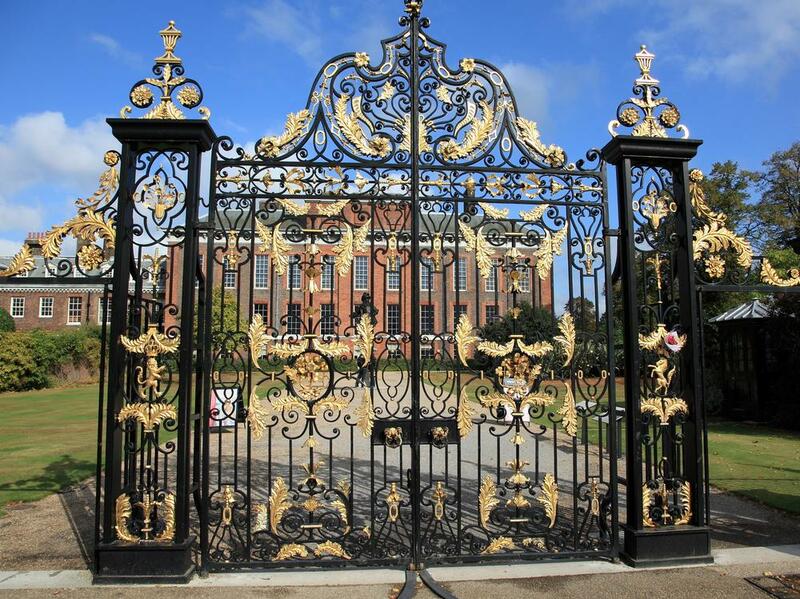 Behind the ornate gold and black wrought iron gates on Kensington High Street stands the popular attraction of Kensington Palace. It houses the Royal Ceremonial Dress Collection as well as valuable artworks and yet remains a working, historic royal residence. The adjoining Kensington Gardens are also well worth a visit, and lead into Hyde Park. Best known as the birthplace of Queen Victoria and home for a time to Diana, Princess of Wales, Kensington Palace includes royal apartments and offices and is furnished with beautiful pieces from the Royal Collection. It is currently the home of the Duke and Duchess of Cambridge, and the Duke and Duchess of Gloucester with other minor royals. 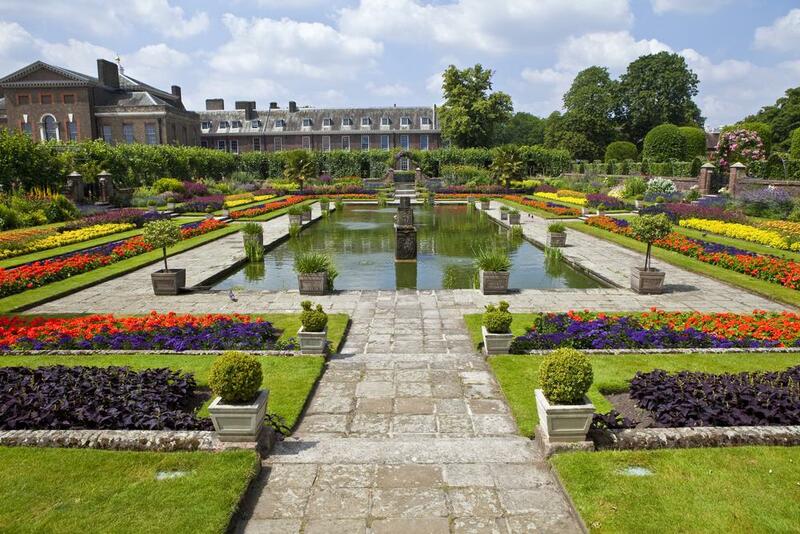 Former residents included Princess Margaret and the Duke of Edinburgh during his engagement to Princess Elizabeth. Kensington Palace was built as a Jacobean mansion called Nottingham House for Sir George Coppin in the early 17th century. 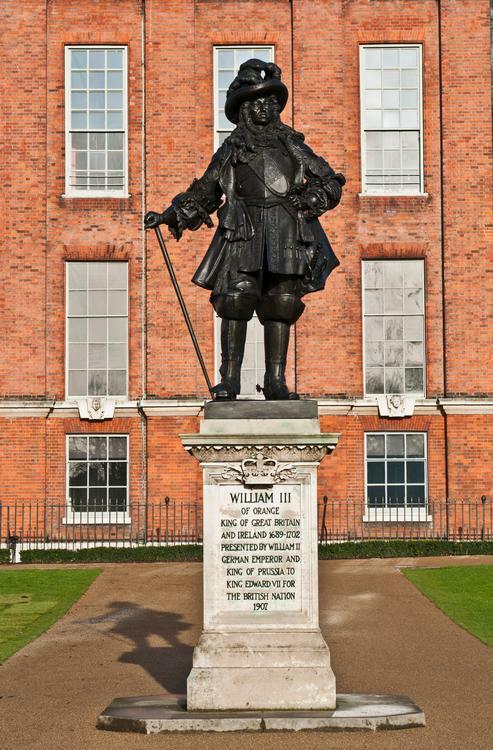 Located on the outskirts of London, it was purchased from the Earl of Nottingham by William III in 1689. 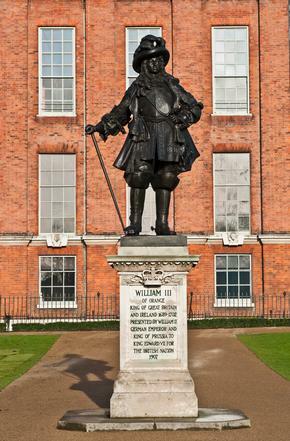 He commissioned Christopher Wren to extend it with the addition of grand royal apartments, a council chamber and a royal chapel. It was a favourite residence of many sovereigns until the reign of Queen Victoria who chose to move to Buckingham Palace in 1837. During his reign, George I added the Cupola Room and had the King's Staircase painted by William Kent with clever trompe l'oeil images. It depicts a balcony scene featuring well-known faces of courtiers and servants from the royal court. Recent restoration work cost £12 million. Visitors will be suitably impressed with the sumptuous interior including the lavish king's apartments, queen's state rooms, the 96-foot Long Gallery lined with artworks and the surreal Stone Hall. 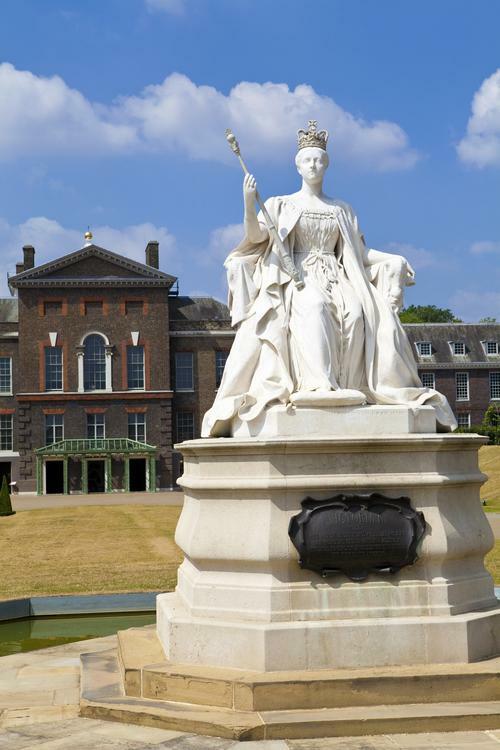 The Victoria Revealed exhibition depicts the life and reign of Queen Victoria who was born at the palace in 1819 and met her husband Albert while living there prior to becoming queen in 1837. Personal artifacts, journals and other items are on display in the rooms where she lived. The Royal Ceremonial Dress collection is an ever-changing display of royal couture. Royal wedding dresses and sumptuous designer gowns have been part of the display here since 1982 and show the changing fashions of London's high society for the past 300 years. 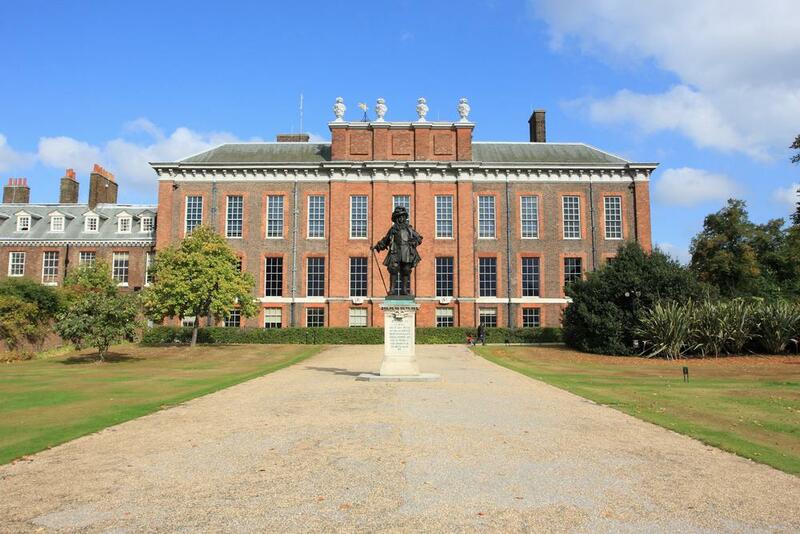 The latest addition to Kensington Palace is the exhibition of Modern Royals and their place in royal life today. The palace is very much influenced by the women of the royal family and this extends to the lovely merchandise in the Kensington Palace Gift Shop which includes exclusive royal themed china, ornaments and accessories. A final treat to end your brush with royalty at Kensington Palace is a visit to the Orangery Restaurant which was built by Queen Anne in 1704 as a beautifully decorated glasshouse for entertaining. 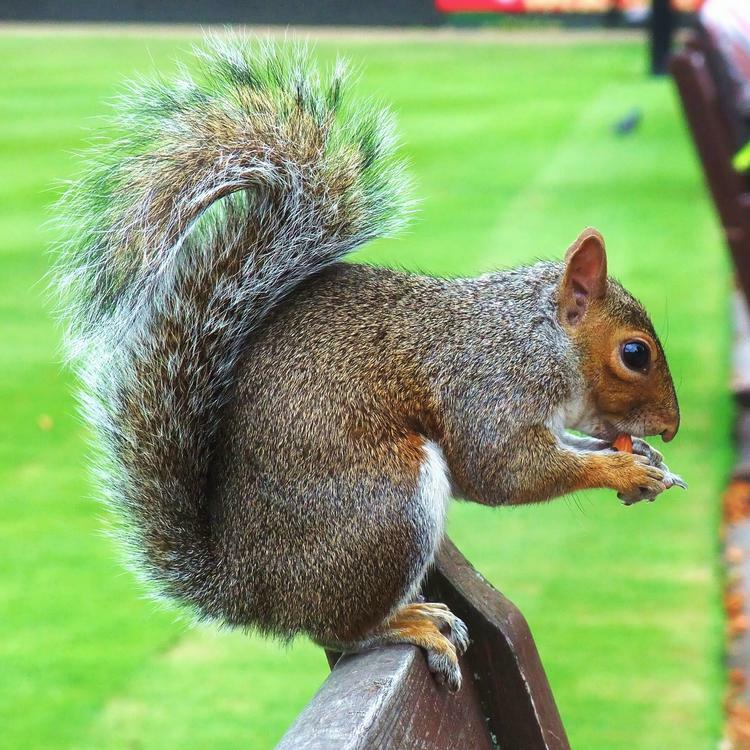 Lunches, refreshments and afternoon tea are served on the terrace or indoors. You may want to take the unique opportunity to sample Royal Palace Beer or treat youngsters to a mini version of afternoon tea. 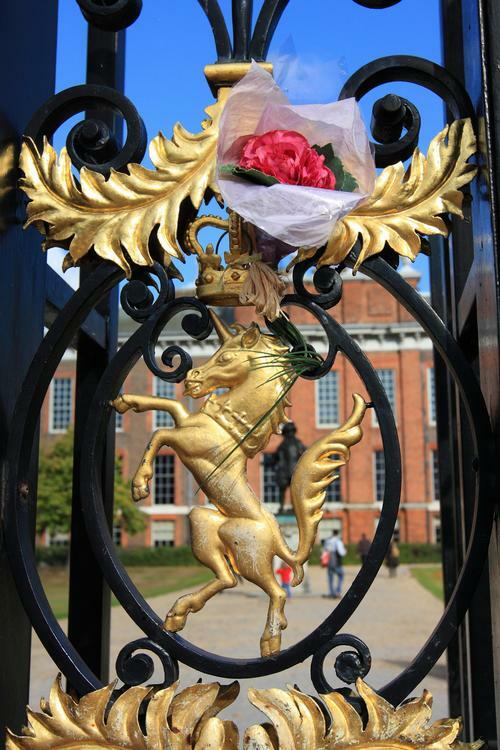 The Palace is open every day all year, except 24th - 26th December and 26th - 30th January. The Orangery is open the same days, but occasionally closes for functions. 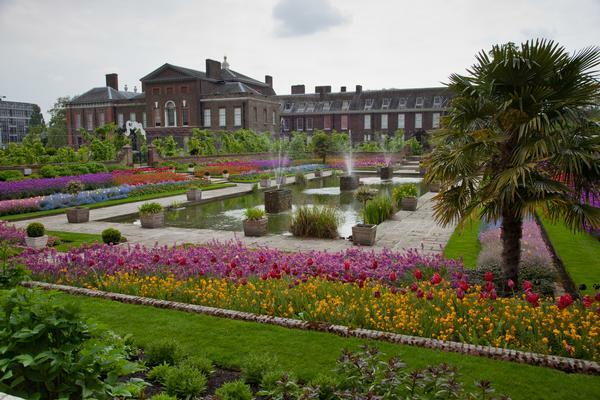 This entrance fee includes access to the Palace, Gardens and Exhibitions including Fashion Rules and Victoria Revealed. Group rates available for more than 15 people. Entrance to the Palace is via Hyde Park and Kensington Gardens.